Lift chairs are recliners that assist the sitter into the standing posture - in addition to assisting the sitter into the sitting position. They are perfect for people who have hip or knee issues, or just desire better freedom. 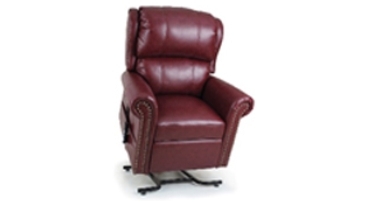 This page will tell you more regarding lift chairs. 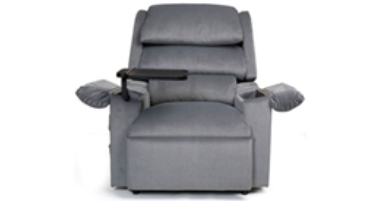 Golden Technologies' success — and the satisfaction of our customers — has been built on our foundation of lift and recline chairs. With six series and dozens of models to choose from, you will find the optimal combination of size, weight capacity, options and accessories. Rest assured, the chair that's just right for you incorporates the finest materials and most advanced technology, is assembled with attention to every detail, and stands up to rigorous quality control. That's what makes Golden Technologies the leader in our industry — and the choice of people across the world. Is backed by the industry's best warranty. Because Golden gives you more than any other lift chair manufacturer! Choose an American-made Golden lift chair because we use the highest quality materials combined with the most innovative technology, all backed by the industry's best warranties. 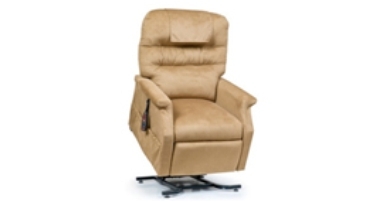 Golden gives you the most comfortable and reliable lift and recline chair experience! 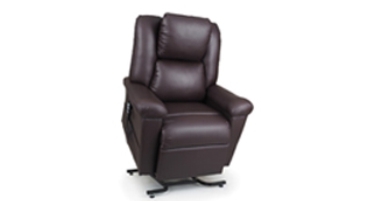 Two position lift chairs are basic reclining lift chairs. Like any lift chair, they have a lift mechanism to assist you in getting into and out of the chair. Once in the chair you can sit upright like you would in a non-reclining lift chair. However, you can also sit in a second position by using the hand control to recline back about 45 degrees. This position allows you to comfortably relax as you read or watch TV. Three position lift chairs allow you to sit in three positions after getting into the chair. The first position is sitting upright like you would in any non-reclining chair. The second position is sitting back at about 45 degrees where you can watch TV or read. The third position is sitting at almost a full recline. From this position you can fully relax or sleep. Of course, like other lift chairs, three position lift chairs have a mechanism to assist you in getting into and out of the chair. Not only does GoldenTech offer some of the most affordable lift chair models available on the market, we also carry the largest selection. No what matter combination of size, color, fabric, or style you are looking for, we can help you find a chair that best fits your needs. 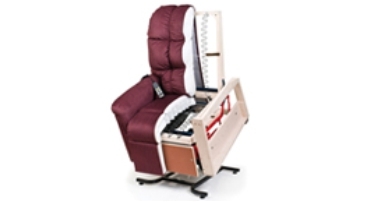 Choose from among 2, 3, and Infinite recline positions. With some of our models, you can also opt for luxurious heat and massage. Not sure where to begin? 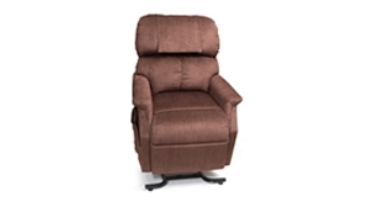 Give our lift chair experts a call and we can help you find the perfect chair for all of your needs! Free Local Delivery / Financing Available!